From sunny beach resorts to Roman ruins, Croatia is an action-packed holiday destination. Whether you’re interested in relaxing by the pool, going wine tasting, or climbing up scenic mountains, here are a few reasons to plan a trip to Croatia this year. 1 – You can visit Diocletian’s Palace. The country offers no shortage of archaeological attractions, but Diocletian’s Palace in Split really takes the cake. Built by the Emperor Diocletian in the 4th century, the palace sprawls across over 300,000 square feet of well-preserved squares, towers, and gardens. Stroll past ancient columns and explore underground cellars in this fascinating UNESCO World Heritage Site. 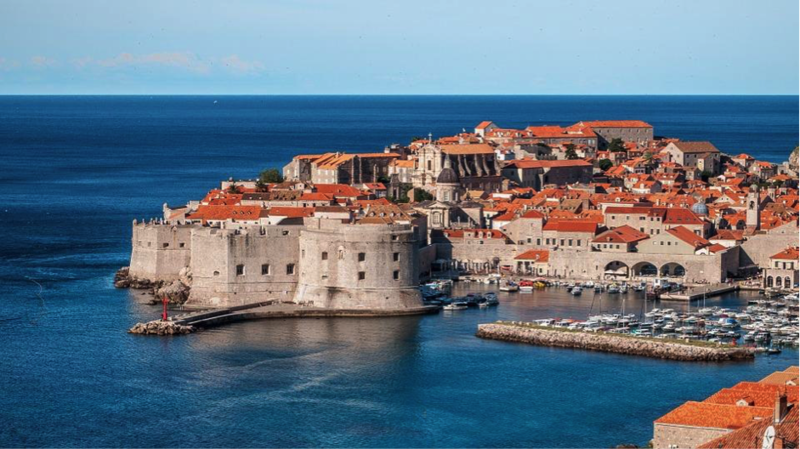 If you’re looking forward to the return of Game of Thrones this summer, you may wish to visit some of its key filming locations in Croatia. Diocletian’s Palace is one of them, but Dubrovnik is also used as King’s Landing in the popular HBO production. The city of Qarth and the Red Keep Gardens are based here as well. Whether or not you’re a Game of Thrones fan, Croatia’s impressive medieval architecture is unrivalled. 3 – It offers over 1000 islands. After you’ve had your fill of ancient monuments, why not hop aboard a ship to explore Croatia’s crystalline waters? There are over 1000 islands dotting the coastline, each with its own vibe. While some are secluded, others like Hvar offer trendy nightlife and world-class dining. You can book a cheap ferry to Croatia with Ok-Ferry and then navigate the waters to the island of your choice to soak up the sea life. 4 – Croatian cuisine is delicious. Sitting just across the water from Italy, typical Croatian food has a lot in common with its more famous neighbour including dishes like wood-fired pizza and seafood pasta. If you love trying new cuisine, travel to the port city of Rovinj. It’s well-known for its fresh crabs, shellfish, and cured ham. Wild asparagus, fruity olive oil, and truffles are also used to delicious effect here. 5 – There are mountains and beaches galore. White sandy beaches are a common sight in Croatia, but don’t neglect the mainland. The interior of the country’s dotted with craggy mountains, like the Biokovo range. Hike through mountain trails to view tiny villages that seem lost in time, wildflower meadows, and ancient pine forests. With natural beauty to spare and intriguing historical attractions, Croatia’s calling your name this year.